THE EXHILARATION OF A 1000 CC BIKE, THE HANDLING OF A 600. THE TORQUE OF A TWIN, THE ACCELERATION OF A FOUR-CYLINDER. 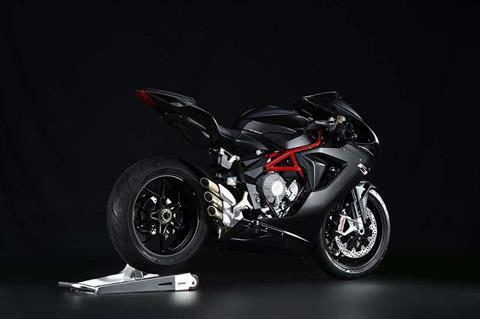 THE MV AGUSTA F3 800 PUSHES BACK THE PERFORMANCE BARRIERS, THANKS TO ITALIAN-MADE 3-CYLINDER ENGINE EXCELLENCE. 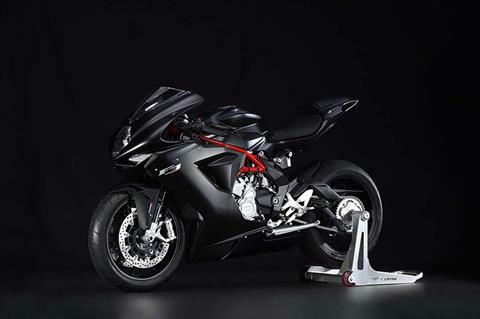 The 3-cylinder MV Agusta project features the most advanced electronics package ever seen in the mid-weight category, with the MVICS (Motor & Vehicle Integrated Control System) platform combining fully electronic control of throttle and throttle body with traction control. At the technological heart of the MVICS platform lies the Full Ride By Wire system: moment by moment, this defines the ideal throttle body aperture independently of the angular rotation of the twist grip. There is, in fact, no rigid mechanical linkage between throttle and butterfly: the optimum fuel-air mix is, instead, defined by injection-ignition mapping, giving best-ever performance at all times and under all load conditions. 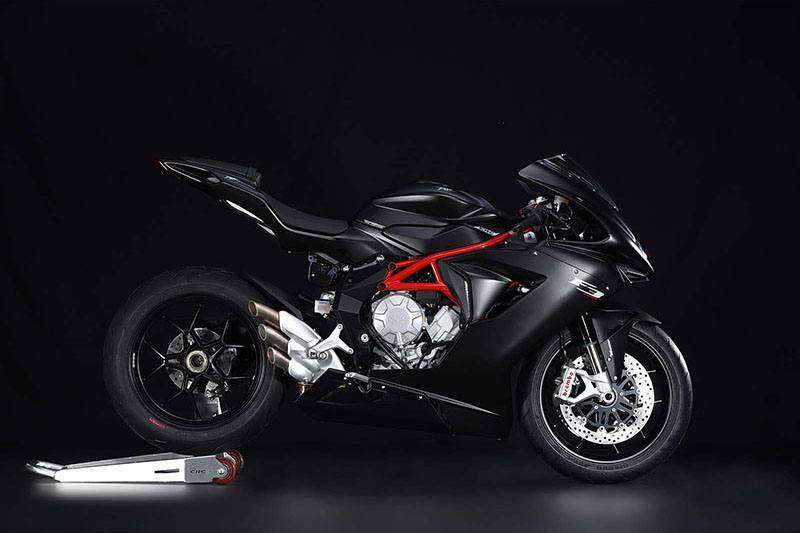 The MVICS provides a multi-map approach, with three modes devised by MV Agusta technicians and a fourth that can be fully customised by riders, letting them tweak parameters as desired and get a solution that best suits their individual tastes. Nowadays, traction control is a must: here, it offers the same performance criteria that made the system such a success on the F3 675, letting riders enjoy 8 different sensitivity levels that can easily be selected via the handlebar controls and the compact, fully digital dashboard. The same excellence that made its smaller sister bike so successful is, of course, an essential part of the MV Agusta F3 800. For a start, the wheelbase is a mere 1,380 mm, a record-breaking measurement that forms the foundation of this three-cylinder bike’s exceptional handling. The frame is the result of a clever combination of a main ALS tubular steel structure, a mid-section consisting of cast aluminium side plates and an extended swingarm (576.5 mm) designed to maximise traction.A sophisticated 43 mm Marzocchi front fork – with 125 mm of travel, adjustable spring preload and compression and rebound adjustment – features dedicated settings that let the rider wring every last drop of excitement from the higher-performance 800 cc engine.The Sachs monoshock provides 123 mm of travel, has a separate piggyback nitrogen reservoir and is fully adjustable in spring preload, compression and rebound. 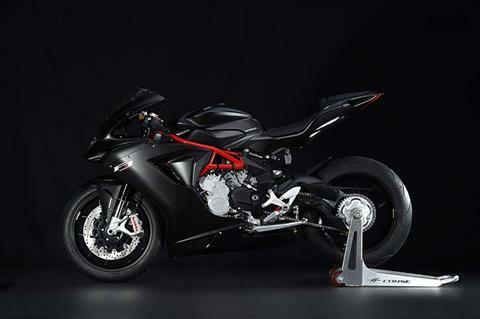 The braking system has been upgraded as well and mounts Brembo monobloc (M4.34a) front calipers to ensure incomparable stopping power even under the most demanding track conditions.The diameter of the two front discs remains unaltered (320 mm) and the rear brake system retains the two-piston caliper mated to a single 220 mm diameter disc. 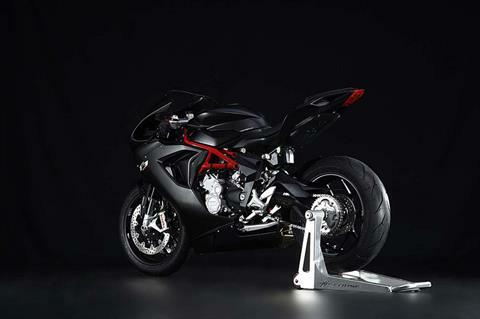 The F3 800 mounts Pirelli Diablo Rosso Corsa tyres as standard; 120/70-ZR17 at the front and 180/55-ZR17 at the rear. Bore diameter remains unaltered at 79.0 mm, while the stroke has been increased from 45.9 mm to 54.3 mm, boosting displacement from 675 cc to 798 cc. 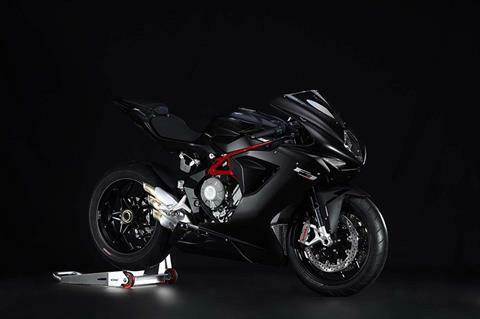 Power output reaches a stunning 148 hp at 13,000 rpm, with the peak torque of 88 Nm arriving at 10,600 rpm. The rev limiter has been set to kick in at 13,500 rpm. A double overhead cam timing system with four titanium valves per cylinder gives awesome performance, especially at high revs. Improvements have also been made to the fuel injectors, which ensure higher flow rates than those on the F3 675. The three-cylinder engine is an astonishing feat of motorcycle engineering: extremely light and compact (weighing just 52 kg), it features a closed-deck shell-cast crankcase with integral bores. Its water and oil circuits are actually incorporated in the crankcase castings and their respective pumps are located inside the engine, giving clear-cut advantages in terms of both styling and compactness. 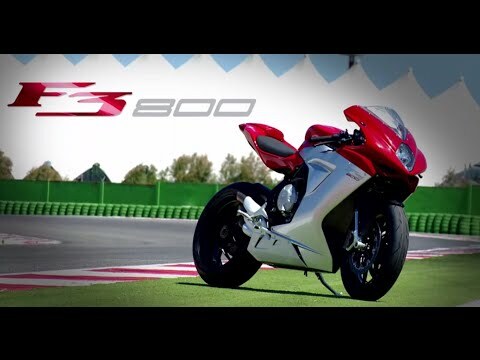 Further innovations on the 3-cylinder MV Agusta F3 800 include the counter-rotating crankshaft, a technical solution that, prior to the F3 675, was strictly reserved for MotoGP bikes. The aim? To reduce inertia during quick directional changes, enhance engine balance and so make the intrinsic handling qualities of the F3 even better. The considerably higher performance – bike mass remaining equal – is highlighted by an augmented power-to-weight ratio (1.17 kg/hp) compared to the F3 675. And that’s not all: acceleration responsiveness has been remarkably improved under all conditions, as has mid-range power delivery smoothness. These two crucial factors mean off-the-scale road riding pleasure and faster lap times on the track. A full 148 hp of oomph translates into a top speed of around 269 kph, achieved also by way of a final drive ratio that has been raised from 16/43 to 17/41. Lastly, the mechanical slipper clutch system, designed and developed by MV Agusta, ensures tip-top performance however hard you’re braking. Rear - Single steel disc with Ø 8.66 in. (Ø 220 mm) dia.